India is blessed with an abundance of flora and fauna and nowhere in the country is there a greater variety than in the central-north. With this itinerary you can see some of India's wild places and have the best chance to see elephant, leopard, tiger and a host of others. You will also visit the Taj Mahal and other manmade wonders. 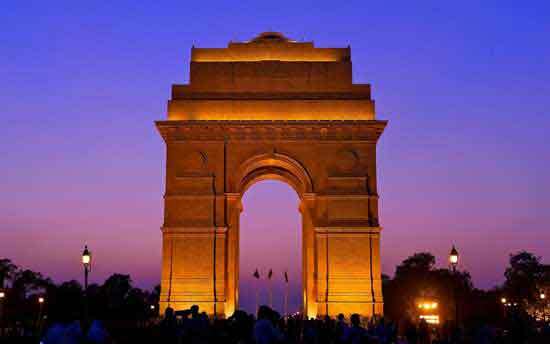 On arrival in Delhi, you’ll be met and assisted with the transfer to your hotel. Overnight in Delhi. 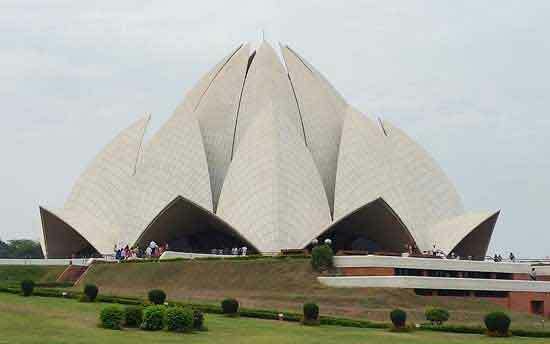 Sightseeing day in Delhi taking in several important monuments and landmarks including India’s grandest and largest mosque- the Jama Masjid, Raj Ghat, a simple but highly moving and evocative memorial to Mahatma Gandhi and Humayun’s Tomb- a major Moghul site. Overnight in Delhi. 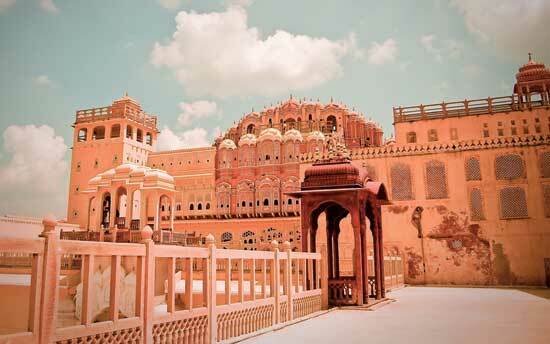 The famous Pink City of Rajasthan, with time in the afternoon to explore the bazaars of the Old City. 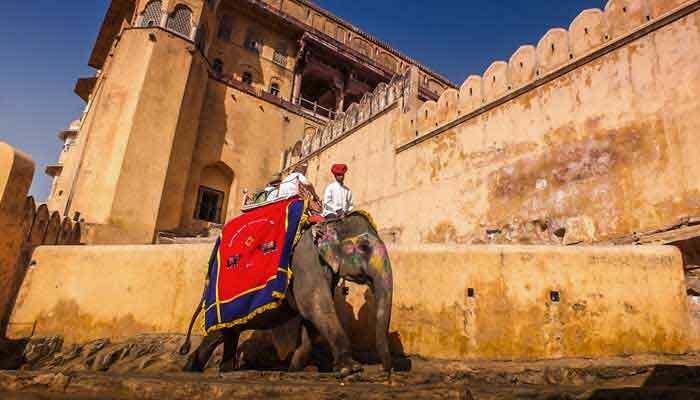 Jaipur is the modern day capital of Rajasthan and is one of the most compelling cities in India- even non-shoppers will find plenty of interest within the labyrinth of lanes and alleys of the Old City. If you’ve ever fancied the idea of a Bollywood movie in an ‘authentic’ setting, there is no more spectacular cinema in India than the Raj Mandir- sumptuous and ornate almost beyond belief. Overnight in Jaipur. Morning of sightseeing in Jaipur taking in Amber Fort on the outskirts of the city, the City Palace and the Palace of the Winds, before departing for Sawai Madhopur in the afternoon. This town sits on the fringes of Ranthambore National Park, where you will get your first taste of ‘Wild India’ Overnight in Sawai Madhopur. 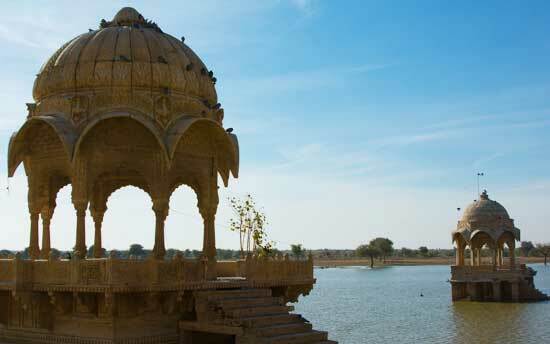 It is best to allow two full Days here to experience the beauty of Ranthambore and (hopefully) to see plenty of its most famous inhabitants- the Royal Bengal Tiger. Apex predators require a healthy supply of prey, and Ranthambore is home to large populations of 3 species of deer- Sambar, Spotted and Barking. 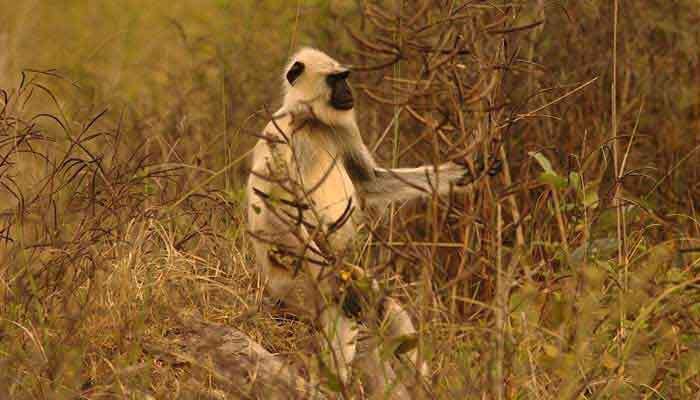 Also seen in large numbers are langur monkeys, nilgai (blue buck) and less frequent sightings include sloth bears and crocodiles. 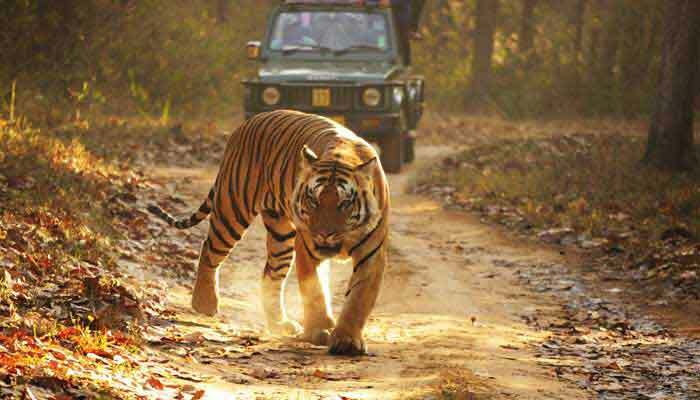 Morning and late afternoon safaris in the park on both Days, and overnight in Sawai Madhopur. Option for one more safari in Ranthambore before driving to Bharatpur. This small town is adjacent to the famous Keoladeo Ghana National Park, a large area of wetlands which is home to large concentrations of migratory bird species during the post monsoon and winter months. A great place to explore at dusk (and again at dawn) when the birds are at their most active- the number of species seen can surprise even the most experienced bird-watcher. Overnight at Bharatpur. 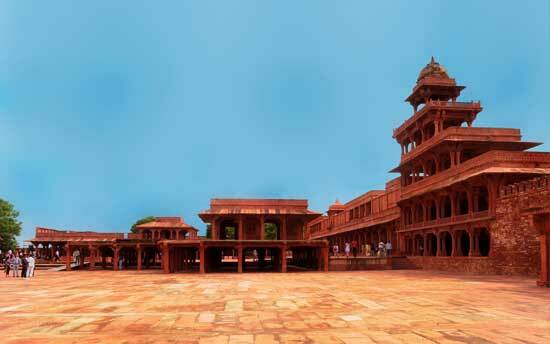 Visit the Park again at dawn, before driving a short distance to Fatehpur Sikri. This beautifully preserved site was briefly the capital of the Moghul empire before being abandoned due to acute water shortages. The result is an entire complex of buildings, formal areas and courtyards which offer a glimpse of how royalty lived in India some 400 years ago. Continue on to Agra and visit Agra Fort. Overnight in Agra. An early start to visit the Taj Mahal at dawn with ample time to enjoy this momentous building. A local guide will explain some of the history and significance of the Taj before allowing you plenty of time to explore on your own. Later transfer to Agra station and catch a train to Jhansi, where you will be met and driven to Khajuraho. 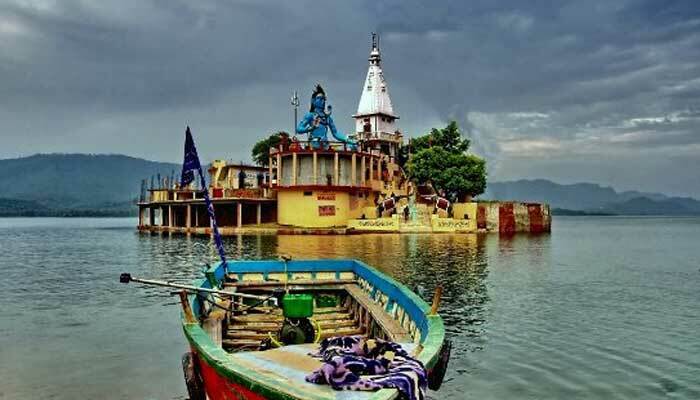 This small town is known for its vast wealth of temples- you will be able to see a sound and light show at the main temple group in the early evening. Overnight in Khajuraho. 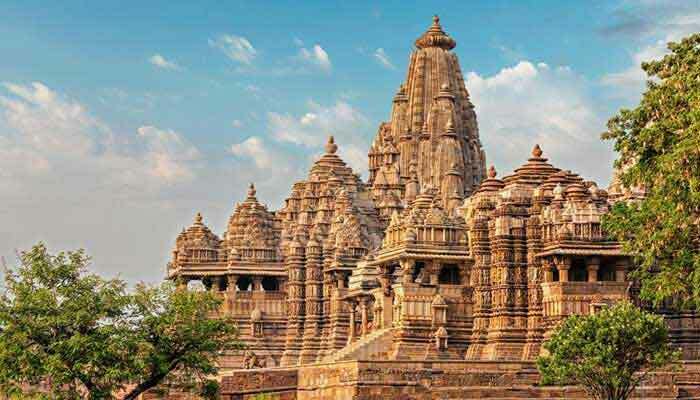 Tour the temples of Khajuraho and neighbouring villages before driving 4 hours to Bandhavgarh National Park - one of central India’s premier wildlife habitats and arguably the greatest concentration of tigers of any Park in the country. 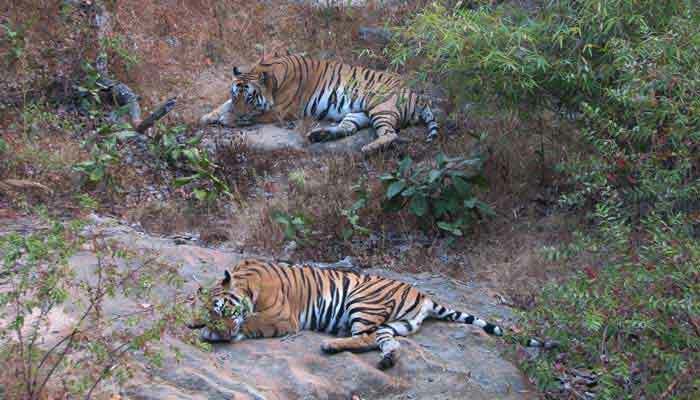 Overnight in Bandhavgarh. The majority of the vegetation in Bandhavgarh is dry deciduous forest which provides an ideal habitat for a large range of species. Tiger sightings here are very frequent during the later part of the ‘season’ (the park reopens in October after the monsoon and closes again in June- the best months to visit are February to May) and if you are lucky you may see multiple tigers during your time here. Also found in the park are a large number of herbivores- deer, pigs, antelope- as well as jackals, langur monkeys, mongooses, hyenas, and sloth bears. You will undertake dawn and dusk safaris on both Days to maximize your chances of seeing as many of these animals as possible. Overnight in Bandhavgarh. A final safari at dawn before departing for Kanha, a drive of around 5 hours. Overnight in Kanha. 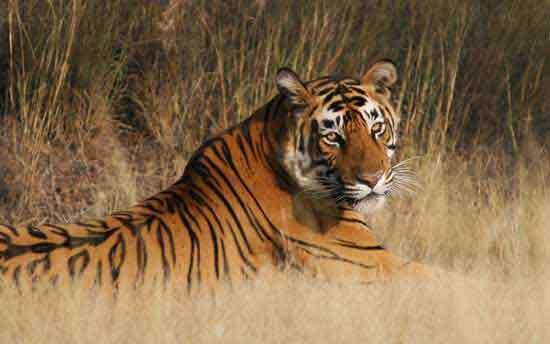 The more open grasslands of Kanha mean that even though it is a larger park than Bandhavgarh, tiger sightings are just as frequent. 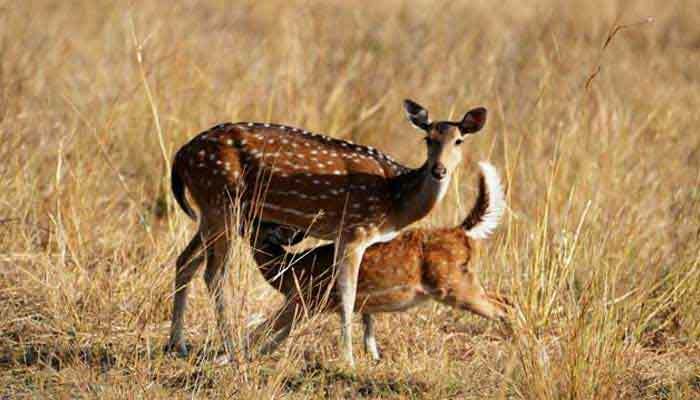 The fauna of Kanha is similar to that of Bandhavgarh- one notable addition to the roster is the rare Swamp Deer which can be seen here. Again you will have 2 safaris each day, morning and late afternoon, giving you great opportunity to explore the park and see lots of variety of mammals and birds. Overnight in Kanha. Drive to 4 hours to Raipur for an afternoon flight to Delhi, where you’ll be met on arrival and transferred to your hotel. Overnight in Delhi. Day at leisure in Delhi prior to airport transfer and onward connection.